Designing a room layout online can give you a good idea of what type and scale of furniture will look good in that particular room. It can also help give you some ideas for changing your room without having to drag furniture around the room. An online room layout planner is a simple tool that makes your home design a lot easier. 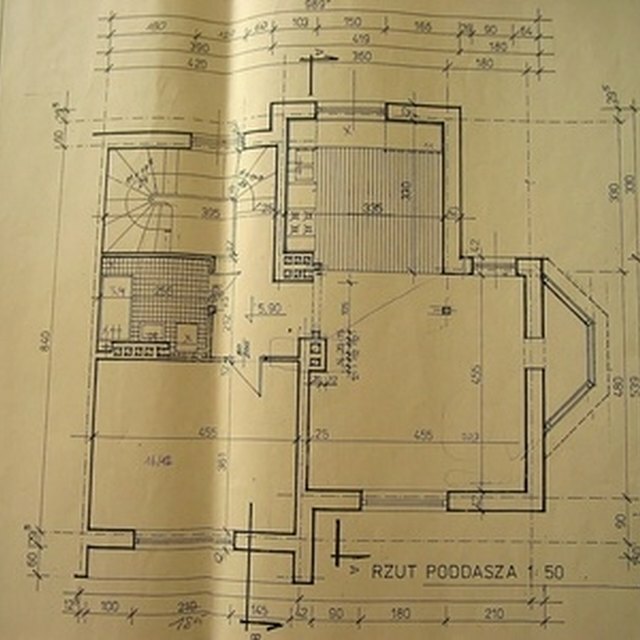 Measure the dimensions of the room that you want to design a layout for online. Also take note of any non-rectangular dimensions. Go to an online room layout web site (see Resources). There are many different room layout web sites; the Better Homes and Gardens room designer is one that is comprehensive and great for beginners. Click on "Room Size" and type in your room dimensions, then choose "Architecture" if you need to change the shape of that room. To change the location of a wall or door, click and drag it into the room layout space from the Architecture menu. Begin adding furniture by clicking on the "Furniture" menu. Look through the catalogs to find furniture that you like or that is similar to your existing furniture, and drag it into the layout space. Move the furniture and other elements around the room and place them as you see fit. You can rotate furniture by clicking on one item and dragging the circular arrow that appears to the desired angle. You can also enlarge or shrink the furniture using the drag boxes at the corner of each piece. Click on "Info" beneath each piece of furniture to see its final dimensions. Save and/or print your room layout when you are done, for future reference.